Growing Up… without a father. He never got to know his dad, and when his mother remarried in 1961, it was hard to warm up to a new guy around the house. Smalls was practically a shut-in who didn’t really have many friends, and spent more time with his erector set than he did with other people. Living… among a new group of friends on the block he just moved to, after cool kid Benny takes him under his wing. Smalls does everything he can to impress the guys, even though he doesn’t really have what it takes. When he tries to start playing baseball with them, he just makes a fool of himself. He can’t catch and he can’t throw for beans. He might even be as bad as a “girl”—but don’t make that provocative statement unless you’re willing to put your money where your mouth is. They take that insult mighty personal around these parts. Profession... middle school student. Fortunately, it seems like summer is lasting forever. Relationship Status… single. First Smalls has to make some friends before he can figure out how to get a girlfriend. Challenge… getting out of “the biggest pickle” any of the boys had ever seen. He loses the autographed baseball over the fence to “The Beast,” a hulking man-eating dog. (At least, legend has it that The Beast has eaten people whole.) They try just about everything to get the ball back, from using vacuum suction to building remote-controlled-car contraptions. Nothing seems to be working; they’re going to need a miracle to get it back. Personality… soft-spoken and naive. Smalls doesn’t know a lot of the most important things in life – like what a s’more is. 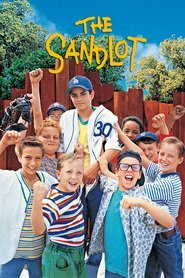 He ends up getting a lot of criticism: “You’re killing me, Smalls!” But playing ball this summer in the sandlot is something he’ll remember for the rest of his life. Scotty Smalls's popularity ranking on CharacTour is #3317 out of 5,000+ characters. See our top-ranked characters and read their profiles.